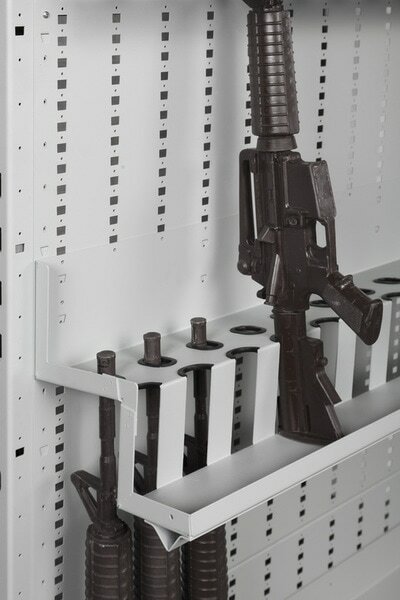 Expandable Weapons Racks (EWR) are modular and adaptable storage systems used in secure areas like armories of vaults. They accommodate virtually any weapon due to the universal back panels and strategically selected dimensions (below), and are available single or double sided. 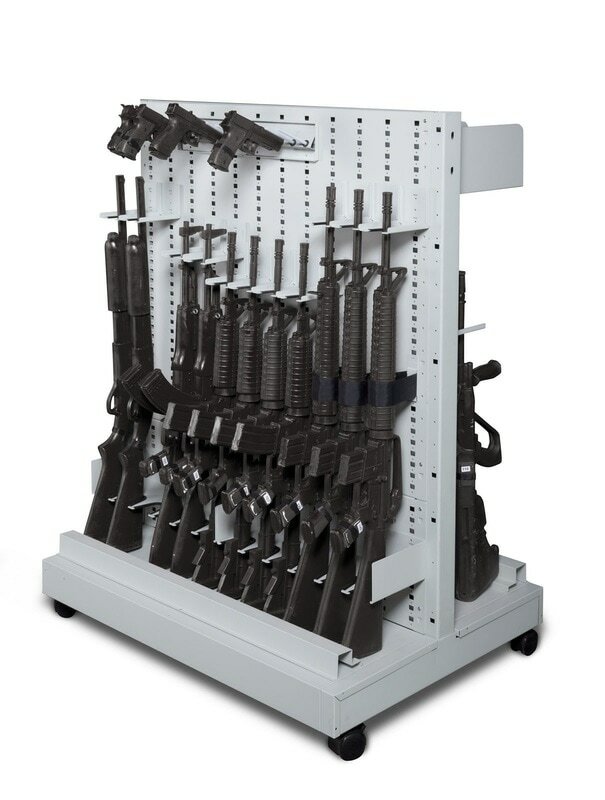 NO other open rack system achieves the storage density, weapon versatility and precise fit. With our EWR system design your secured armory layout exactly the way you want it. available in 34"H and 12"H and are manufactured with rear stiffeners (16 Gauge Channels). The stiffeners are pre-drilled to accept wall mounting hardware. This makes for a solid and tight fit! Transform empty wall space into a custom designed weapon storage system. Perfect for use in secured areas where a solid wall surface is available for mounting. The Wall Mounted Weapon Panels accommodate any combination of long guns, pistols, tasers, and accessories by using weapon specific universal components. Additional panels allow you to easily and quickly expand your configuration options at any time.